Very rugged holes on rolling hills, with trees, cactus, pond, OB sidewalks and a creek. Many alt. pin positions. Playground. Awesome and difficult course. Lots of technical and big throws throughout the course. Challenging course with some very fun elevation tee shots at times. Needs way way way more signage leading from basket to next tee. Tons of time wasted wandering around looking for next tee and basket. Since there are multiple pin placements and you can't see many of them from the box, best to develop some kind of marking system on the tee pad sign to show the placement of the day, or add a basket to every pin placement at all times. Glad we had a guy to take us through the basket locations, otherwise we would have quit. You will have to play hole 3 before hole 2 as it is right next to hole 1's basket. Hole 2 is back toward the picnic area, but left into the woods. This place is not good for first time goers because of navigation. Is fun, and challenging once you know where the baskets are. Hole 5 is really fun as it is almost a blind throw 45 degrees down. 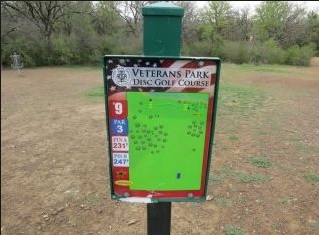 May be my favorite course in the Fort Worth area. This is a very long course so be prepared for the workout. Its best to bring someone who knows the course if you can as many of the baskets cannot be seen from the tee box and they change from time to time so you need to know the general area to look in. Plenty of long drives. 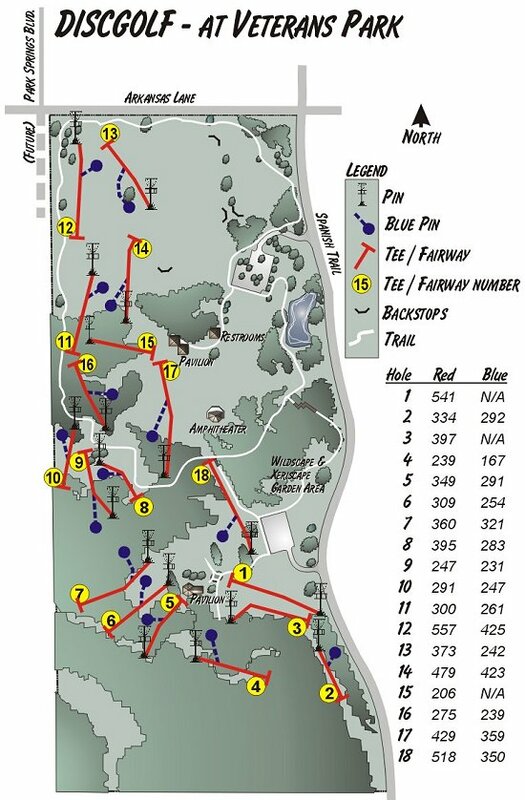 not as many technical spots as some of the other courses in the area like cedar hill or turner park but it is a TON of fun to play. It can get crowded, but most people are very polite so it doesn't become too much of an issue. If you play it once and think its too hard, play it again and you'll love it from then on. 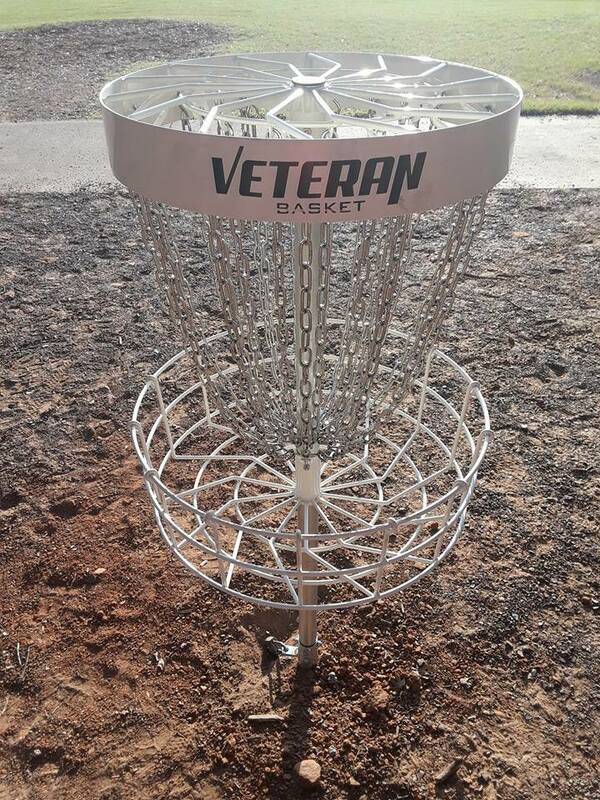 the only con i can think of is that, as stated, lots of baskets make you throw into places you can't see into so keep an eye on your disc because you will lose it if you don't. Most of my favorite drives are on this course. I'm not gonna write a book... just gonna keep it simple. 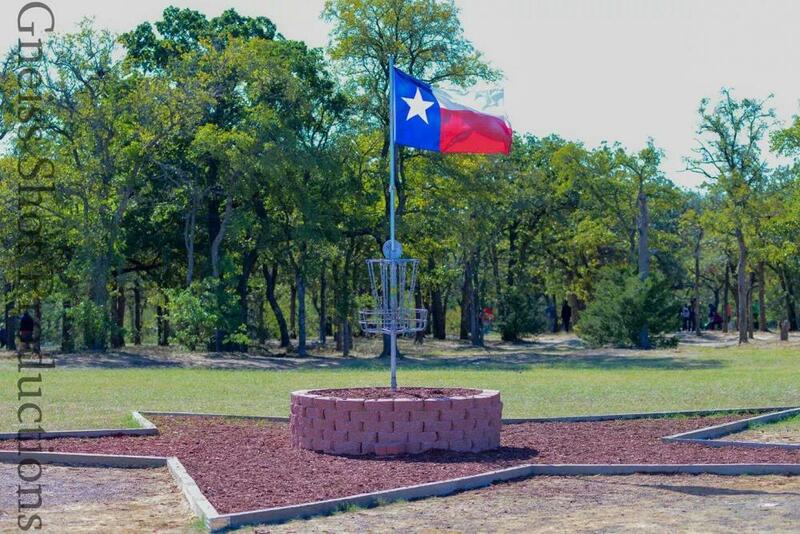 Be prepared to sweat on a warm Texas day on this course. Very hilly parts to this otherwise simple disc course. Well, simple as long as you know were the hole locations are. Beware of hole 5, as the basket is set below a very deep slope with trees making it impossible to see where your disc lands. I've spent hours searching for discs here only to find it sitting in one of the many bushes surrounding the hole. 6 and 7 are what I call the "Hell Holes" as they have the most hilly and rocky terrain ever seen on a disc course. Watch your footing as these will surely take out an ankle(or two). Pros: Very cool design(as long as you learn the course) and good for a much needed workout. Bring plenty of water and a sweat rag. Cons: It DOES get crowded on the weekends as well as the limited signage. Also, see the "workout" part above. 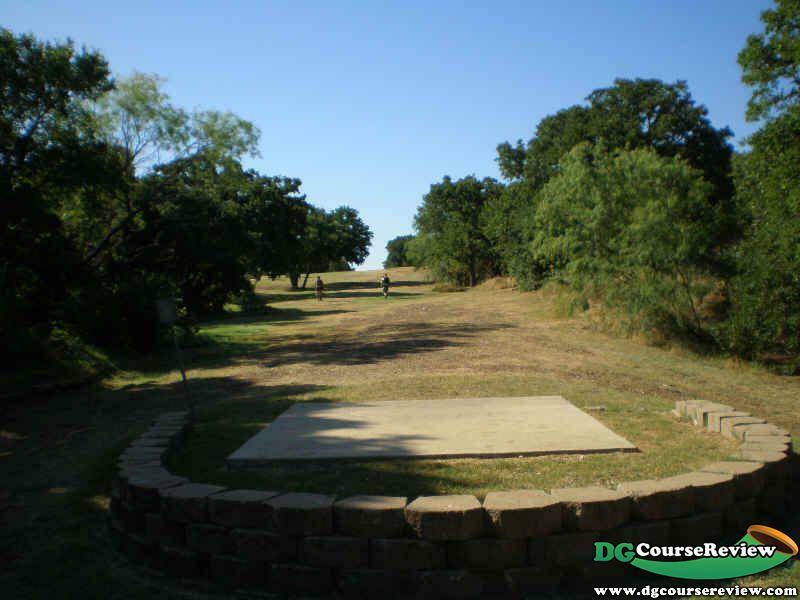 My favorite course in the Dallas/Ft. Worth Area. It is well designed and has a good mix of holes and terrain types. 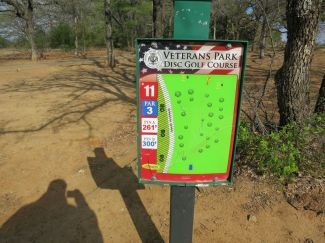 It is hard to navigate some of the holes if you are new to the course and the signage is a bit lacking but my rating of 5 of 5 is based on it's challenge and playability which far out-way any of it's defects. In November the VPO is hosted here which is big enough now to have amateurs play on one weekend and the pros on the next. It has large grass field holes you can bomb on, narrow wooded holes requiring accuracy, dogleg lefts and rights, uphills and downhills. The middle of the course is hilly desert terrain with cactus, mesquite, and steep hills which give you a real workout. Single permanent tees on most holes, basket locations change often so make sure you check which of the 2 or 3 locations they are at before you throw. 1: Bomb downhill on a grassy field with the basket tucked away in the woods far down to the right. A good one to throw your whole bag on. 3: Bomb back up the hill on the side of the field shared with hole 1. A lefty's nightmare as the basket is back in the woods way up on the left. 5: Way downhill over mesquite and cactus in desert terrain. Be careful not to bomb on slow-pokes mulling about the basket down there. 12: Long hole on an open field. Champion tees are tucked way back in the woods to the left, hardly anyone knows they are even there as this hole is long enough. No trees here otherwise from the regular tees but the wind is always a factor. You can't see the basket from the tees as there is a gradual hill cresting in the middle. Only long bombers can get past this to get within mid-range for the 2nd shot. 17: Raised tee and another chance to bomb down a hill on a large field. Large trees on the left and a thicket of trees to the right penalize errant tee shots. Pros: Excellent design and a wide variety of terrains and hole types. Many long holes to bomb on. Replay value is great and hole locations change often to keep things interesting. Cons: Poor signage and gets crowded on weekends. Trash cans missing or vandalized on several holes. 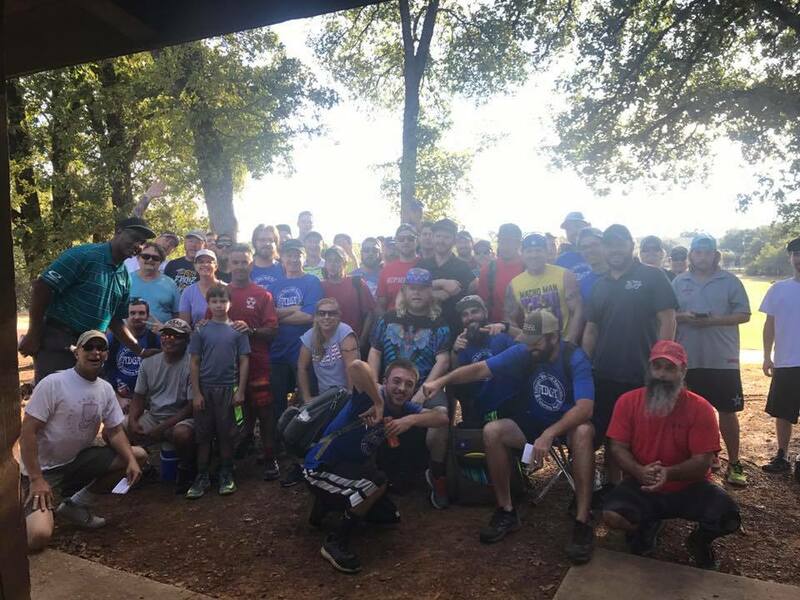 22nd Fahrenheit Fling presented by Texas Chainwreck and Arlington Disc Golf Assoc.